There are some exciting changes at Valley Vision Clinic! Dr. Tom Rued and Dr. Julie Johnson-Rued have retired after each practicing over 30 years. Their commitment to their patients has helped build Valley Vision Clinic into the outstanding practice it is today. We wish them the very best in their retirement as they have relocated to their lake home in northern Wisconsin. You may still see them around occasionally if they help fill in for our doctors. They will also be drawn back to Neenah fairly often over the coming years to see their grandson, as Dr. Cory and his wife, Corinne, welcomed the arrival of their first child, Elliot, on July 13. Dr. Cory Rued and Dr. Michael Miskulin, now 50/50 owners of the clinic, are excited to welcome Dr. Megan Thistle as a new associate in the practice in July. Dr. Megan is a north-central Wisconsin native, and is happy to be coming back to Wisconsin! Dr. Megan completed undergraduate studies at the University of Notre Dame, where she earned a Bachelor’s degree in Pre-Professional Studies and Psychology. She is a graduate of Pacific University College of Optometry in Oregon. While earning her Optometry degree, Dr. Megan also earned a Master’s degree in Education in which she focused on the relationship between vision and learning. 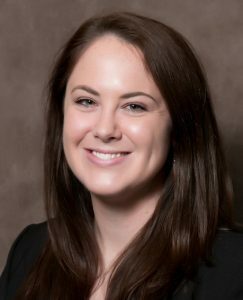 After earning her optometry degree, Dr. Megan completed a residency specializing in pediatric eye care, vision therapy, and traumatic brain injury care. In addition to general eye exams and contact lenses, Dr. Megan loves working with children and ensuring their vision allows them to reach their full potential. Dr. Megan has a special interest in vision therapy as well as helping people through their recovery journeys after brain injuries. Dr. Megan has enjoyed service trips to locations like Costa Rica, Philippines and Nicaragua. She especially enjoys helping at the Special Olympics Opening Eyes programs. Her clinical experiences range from vision therapy in Seattle,WA, to the Veteran’s Affairs Hospital in Lexington, KY, and specialty contact lens fittings in St. Louis, MO. In her free time, she enjoys outdoor activities, baking and reading. To make an appointment with Dr. Megan, for yourself or for your children (even infants! ), please call our office at 920-725-1566.